A Gift that Gives Back? A tough new media law, under which journalists could be imprisoned for publishing "harmful" material, has been proposed in Venezuela. Journalists could face up to four years in prison for publishing material deemed to harm state stability. Public prosecutor Luisa Ortega Diaz, who proposed the changes, said it was necessary to "regulate the freedom of expression" without "harming it". The move comes at a time of rising tension over private media regulation. Under the draft law on media offences, information deemed to be "false" and aimed at "creating a public panic" will also be punishable by prison sentences. The law will be highly controversial if passed in its current form. It states that anyone - newspaper editor, reporter or artist - could be sentenced to between six months and four years in prison for information which attacks "the peace, security and independence of the nation and the institutions of the state". What I remember most from the Book TV interview is Galeano's claim that he always tries to take a view of the world that gives equal measure to the dark side and the bright side. In this case this may mean that he can appreciate both the potential danger for Venezuelan journalists and the opportunity for an ironic sense of humor, even if the humor itself has a dark side. Barack Obama, the US president, has hosted a black professor and white police officer in an attempt to defuse a simmering race row that erupted when Henry Louis Gates Jr was arrested by Sergeant James Crowley. The meeting at the White House - dubbed the "Beer Summit" - lasted just 40 minutes, but all three men agreed that something positive had come out of the incident, which had become a sensation in the US media. Being white, I cannot say what I really want to say about this (but the second word is "please"); but, really, who the hell spends only 40 minutes over a beer? It takes at least half an hour for the beer to unlock the conversational wheels and get them turning at all! I appreciate our President's efforts to do damage control over his own counterproductive act in this "simmering" situation; but would it have been that much of a strain on his schedule to have a real conversation instead of a staged media event? Perhaps my historical memory has clouded, but I just cannot imagine President Jimmy Carter handling this kind of affair quite so superficially. Politics may be the art of compromise; but, as we saw in the history of the United States leading up to the Civil War, compromise is often a matter of sweeping problems under the rug until the pile of problems is bigger than the rug itself. This could well be the case with the compromises emerging in an attempt to enact health form legislation. As a result, 57 Democrats in the House of Representatives have decided to bare their progressive teeth with a letter sent to their supposed leaders indicating their intention to oppose any compromise that will ultimately undermine the course of reform. A deal between House Energy and Commerce Committee chair Henry Waxman and several members of the conservative "Blue Dog" caucus has been portrayed as "progress" toward reform by some top Democrats and much of the media. But without the votes of the 57 progressives who have signed a letter condemning the compromise, Speaker Nancy Pelosi, D-California, is unlikely to be able to cobble together enough support to gain approval of the plan in House where Republicans continue to act as the party of "no." The progressives are not joining the obstructionists. The progressives say "the agreement is not a step forward toward a good health care bill, but a large step backwards." That's because it would, according to their savvy analysis, "reduce subsidies to low-and middle-income families, requiring them to pay a larger portion of their income for insurance premiums, and would impose an unfunded mandate on the states to pay for what were to have been Federal costs." "In short," declares the letter that was circulated by Congressional Progressive Caucus co-chairs Lynn Woolsey, D-California, and Raul Grijalva, D-Arizona, and a number of CPC members and allies, "this agreement will result in the public, both as insurance purchasers and as taxpayers, paying ever higher rates to insurance companies." Among those signatories, Dennis Kucinich is no stranger to the Chutzpah of the Week award; and, reviewing his past awards, it is clear that they have always been granted for his consistency in putting "the people's business" ahead of the business of politics. It is good to see that, in this particular case, he has 56 colleagues who feel as strongly about this matter as he does. Leading investors have taken their holdings of stocks back up to levels last seen just before the collapse of Lehman Brothers, a series of Reuters polls showed on Thursday. The stock market is telling us that the worst has passed for the economy and particularly for the business cycle. The number of Americans collecting long-term unemployment aid fell to the lowest in three months in mid-July, according to government data that implied a slowing pace of layoffs as the economy stabilizes. Presumably, Wall Street is more interested in the fact that the rate of increase is decreasing, rather than the blunter fact that unemployment is still increasing (regardless of the rate)! This may well be the most morbid week I have encountered since I started blogging. 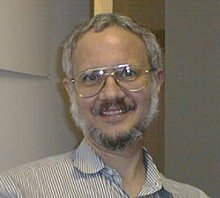 I just discovered (due to sluggishness on the part of The New York Times in releasing the story) that this past Monday, when I was writing up my reaction to reading Joshua Kosman's obituary for Michael Steinberg on the San Francisco Chronicle Web site, was also the day on which George Russell died. Perhaps the delay reflected that fact that Russell was not that familiar to the general public. To this day he may still be best remembered for his collaboration with Dizzy Gillespie on the two-sided "suite" recorded on a single RCA Victor 78, "Cubana Be" and "Cubana Bop." This was one of Gillespie's earliest ventures into Afro-Cuban jazz. Russell was his arranger; and his most notable contribution was the introduction to "Cubana Be," one of his earliest departures from conventional scales in favor of the modal scales that could be traced back to Ancient Greece. Looking over my own collection, I discovered that I have eight Russell CDs (as well as the 2-CD collection of the complete RCA Victor recordings made by Dizzy Gillespie). I honestly cannot remember how I accumulated those eight CDs, but I think the collection began with the Jazz Workshop recording by The George Russell Smalltet. I may have been drawn to this recording because Bill Evans was Russell's pianist. That CD gave me my first taste of Russell's own compositional voice, after which I would go after every opportunity to add another one to my collection. When I started taking my business to True Blue Music, I encountered The African Game, which I think was his only Blue Note session. My wife fell in love with that recording from its very first notes. Regarding Russell's theoretical interest in modality, I have to confess that I am still trying to get my ears around it, particularly his focus on the Lydian mode. I suspect that this mode appealed to Russell because of the prominent position of the tritone, the notorious diabolus in musica ("the Devil in music") in the history of Western music. The Wikipedia entry for this mode illustrates it with the song "Maria" from West Side Story. Leonard Bernstein, of course, never concealed his enthusiasm for the innovations taking place around him in jazz; and I would be surprised if Bernstein had not been aware of Russell's pursuits. (His interest in Tristano's work has been documented.) "Maria" may well have been a product of Bernstein taking some of Russell's ideas and putting his own twist on them. If you seek Russell's monument, listen to just about any jazz recording after 1947 (the year of the "Cubana Be"/"Cubana Bop" session)! Thinking more about my experience of watching videos of Pierre Boulez conducting the music of Edgard Varèse (which I reported on Examiner.com), I realize that Boulez employed a gesture I had not previously encountered. He would raise both arms, curve them forward, and then bring them down with the rest of his body vaguely following that curve, almost as if he were diving into water. I let that pass as idiosyncrasy until, earlier this week while watching videos of Valery Gergiev conducting the music of Johannes Brahms, I saw him execute the same gesture! This led me to reflect back on what Boulez had been doing and whether or not Gergiev had decided to appropriate it as a good idea. As I have written in the past, I have come to appreciate Boulez as "a conductor who recognizes the importance of knowing where the climaxes are and making sure that they are recognized as such." Those climaxes are not always indicated explicitly in the score, and where they are is often a matter of how a performer decides to read that score. When the score does attempt to indicate such climaxes, it is usually through the use of a "phrasing slur," a notational artifact for which Heinrich Schenker had a particularly venomous regard. (He did not seem to object to the idea that one could use notation to indicate phrase boundaries or even the hierarchical embedding of subphrases within phrases. His attack was against editors whose phrasing slurs made no sense, at least in his own opinion.) The shape of the notation itself led me to wonder whether Boulez was arcing his body over the end of a phrase in imitation of a slur arc. In other words, just as the use of slur notation served as a metaphor for delimiting the extent of a phrase, Boulez was using his body as a visual metaphor for the notation. If this were, indeed, the case, I could see how other conductors, particularly those who have mastered the skill of conducting with the entire body (like Gergiev), could see the value in this particular gesture and appropriate it for their own performances. When we then take these two examples together, we find ourselves with an interesting illustration of a common foundation for performance shared by Brahms and Varèse, however radically different the experiences of listening to these two composers may be! Like Al Gore, Howard Dean is not afraid to talk about inconvenient truths concerned with potential crises. Also, like Gore, Dean seems to have discovered that it is easier to talk about those truths through the media of entertainment, rather than through the usual channels of government and politics. However, while Gore chose to raise questions about the environment through a multimedia lecture tour that was subsequently documented as both a film and a book, Dean chose to address the health care crisis by filling in for Keith Olbermann as a guest host on Countdown on MSNBC. In the spirit of an old joke about television commercials, Dean did not have to worry about playing a doctor on television, because he is one. His voice within the health care profession is far from the only one, but it is a voice that the media would prefer that we not hear. Indeed, his is a voice that still tries to view health care as a profession, rather than an industry, which is why those on the industry side of the coin seem to be throwing as much money as they can at discrediting the sorts of things he has to say. "We have to have the public option," Van Hollen responded. "And we hope the Senate Finance Committee will." "No," Van Hollen answered. But it isn't clear what kind of leverage House Democrats have with the likes of Baucus, nor do we know yet whether they'll be able to keep their own Blue Dog conservatives in line. "President Obama promised change we can believe in," Dean told Van Hollen. "Are you worried about our party in 2010 if we don't get any change at all?" In the next segment, Dean asked Wendell Potter--a former spokesman for Cigna turned whistleblower--"what motive do Republicans and Blue Dogs have to kill the public option?" "They have a motive to protect the insurance industry," Potter responded. There you have it: Those who see health care as an industry and are profiting mightily from that industry see their prosperity in jeopardy from those who wish to restore health care as a profession. Furthermore, those "industrialists" have the budget to pay for their interests, rather than those of that 72% segment of the population that Dean cited. Did anyone really expect that the we-are-so-screwed mantra, so popular during the Administration of George W. Bush, would vanish with a new President from a different political party? We are as poorly represented as we have ever been. It is time to recognize that the change we need will require more than hope. It will require greater pressure on those we elected to remind them of why we chose them in the privacy of the election booth. Over the past few months alone, a remarkable amount of original, exciting, and creative (if also chaotic and maddening) material has appeared on the Internet. The practice of journalism, far from being leeched by the Web, is being reinvented there, with a variety of fascinating experiments in the gathering, presentation, and delivery of news. And unless the editors and executives at our top papers begin to take note, they will hasten their own demise. I have a fair amount of respect for past Massing articles in The New York Review; but nothing provokes in me quite an adrenaline rush of skepticism as does any form of the verb "reinvent." It always seems to carry a promise of good things to come without ever saying very much about what those things are or when they may be expected. Nevertheless, as a result of reading Massing's article, I have at least one good thing to say about Internet technology. Because his article had a URL, I could direct Firefox to it and quickly scan his text for occurrences of the "edit" stem. I discovered that almost every occurrence (the one exception being debatable) refers to a position on an organization chart rather than the actual work done by the occupant of that position. In other words Massing does not seem to have a problem with the fact that the blogosphere is almost entirely (again with exceptions being debatable) a world without editors. Now I suspect that he would prefer to say that bloggers are self-editors and then propose that one of the metrics of the quality of writing involves the quality of self-editing. For me, however, self-editing reminds me of Abraham Lincoln's joke about the man who acts as his own lawyer having a fool for a client. I might not be so extreme as to say that any editing that is not fully detached from the writing process is not editing at all, but I have certainly flirted with that position! The process of editing has been a favorite topic for me on this blog. As I write this piece, I see that I have used the label 32 times. As in the past I continue to believe that this process is best understood within the framework of the medieval trivium of logic, grammar, and rhetoric. My guess is that I shall not get any argument over editorial checking for grammar, not to mention spelling. Whether or not grammar-checking software will ever be as good as current spell-checkers, however, is not the point. No matter how good those technologies are, good editing must still scale the hurdles of logic and rhetoric. Where logic is concerned, we have all heard anecdotes about how Internet technology has augmented our powers of fact-checking. However, logic is about more than facts. It is also about inferences made from those facts, more specifically, whether or not those inferences are valid. This brings us back to my own analysis of the Senate Subcommittee hearings, in which I revisited the question posed by Nicholas Carr in his Atlantic Monthly article, "Is Google Making Us Stupid?" Carr did not address logic in his article, but I would propose that those who are too heavily dependent on search engines and the snippets of text they return may, indeed, be losing their ability to recognize when an inference is valid. Indeed, they may be oblivious to whether or not a snippet is actually the product of a logical inference. In other words, in addition of all of its other injuries, Google may not only be robbing us of editing as a profession but may also be eroding our capacity for editing, at least where logic is concerned. The "state of the art" of editing for rhetoric is probably even worse. We have become so susceptible to rhetorical manipulation that recognizing when we are being manipulated is even more difficult than recognizing an invalid inference. At least in this case we cannot lay the blame on Google. If we need to find a target of blame for why our sensitivity to rhetoric has been so blunted, we need look no further than the advertising industry; and we do not even have to look at advertising on the Internet. It is, of course, still possible to learn the nuts and bolts of rhetorical machinery. The problem is whether or not denizens of the blogosphere feel it is worth taking the time to do so. In contrast to the short, punchy posts favored by most bloggers, Greenwald offers a single daily essay of two thousand to three thousand words. In each, he draws on extensive research, amasses a daunting array of facts, and, as [Eric] Boehlert puts it [in his book Bloggers on the Bus], builds his case "much like an attorney does." As well-argued and provocative as I found many of Greenwald's postings, they often seem oblivious to the practical considerations policymakers must contend with. For my part I would argue (provocatively?) that lawyers do not just seem oblivious to such practical considerations. They are oblivious to them when they might impede the more important process of making one's case. Greenwald is just being a lawyer, and he is damned good at it! The problem is that Massing has ignored what I have called "the primary rule for reading any text on the Internet," which is caveat lector. There are no end of ways for the Internet reader to get ensnared by traps. Many readers learn how to be wary of the newspapers they read; some even learn how to beware the commercials they "read" on television. Nevertheless, when it comes to reading, the Internet is more dangerous than both of these worlds combined. When Massing praises the content he finds on the Internet, he does so as a reader well enough informed to avoid those traps; but he seems to ignore the question of whether or not he speaks for everyone else reading contributions to the blogosphere. One point that Massing seems to have recognized is that the world of "Internet speed" has become, as I have put it, "a world without reflection." His response is to praise Slate for requiring each of its writers "to take off six weeks to work on longer projects." I find no fault with Slate making this policy, but it leads me to wonder whether it might cultivate an attitude that reflection can only be done while on vacation! If this is an indicator of the "reinvention" of journalism, then I fear it as much as I fear those who go around evangelizing "life-long learning" but never seem to practice it. I suppose what scares me most is not the future of newspapers but the future of that practice of journalism that served as the focus of Massing's discussion. From this point of view, Simon's concerns about leeching is secondary. As Paul Ricœur observed, all writing involves some level of appropriation. It could not be otherwise: Texts only make sense when they can be anchored to other texts. The real concern is whether or not our capacity for the effective use of principles of logic, grammar, and rhetoric are being eroded; and, in his efforts to promote the merits of the blogosphere, Massing seems to have convinced me that such erosion has progressed even further than I had previously feared. We seem to have had another one of those curious coincidences in the morning news that is likely to either amuse or depress depending on the economic straits (and possibly location) of the reader. In the context of the global economy, all eyes seem to be directed at the meeting in Washington (dubbed by some the "G2 Summit") between Treasury Secretary Timothy Geithner and Chinese Vice Premier Wang Qishan. In an introductory speech before the talks began, Barack Obama talked about how the United States and China will "shape the course of the 21st century;" but, when we take into account the backgrounds of those setting economic policy in the United States, we have to wonder whether or not Geithner is more concerned with the short-term recovery of Wall Street than he is with "the course of the 21st century." Meet the British homeowner's newest lender: China. Bank of China, one of the country's four, state-owned banks, is ramping up its lending business in the United Kingdom as British banks remain cautious in their lending. The bank, which had already been offering loans to the Chinese community in the U.K., will begin offering mortgages for landlords, known in Britain as "buy to let" mortgages, tracking 3.5% above the Bank of England base rate. It is also offering regular residential mortgages at 2.5% above the 0.5% rate, a spokesperson for the bank confirmed in an emailed response to Forbes. "Our aim is to translate the global strength of our branch into a household name in the U.K.," she added. British lenders have been criticized for failing to step up their lending to boost the British economy, despite the pressure being exerted on them to do so by the Labor government of Gordon Brown. Gross mortgage lending in June was 48% below last year's figure, according to the Council of Mortgage Lenders' latest data. "[British] banks aren't stepping up lending but focusing on shoring up their balance sheets," said Jane King, senior mortgage advisor at Ash-Ridge Private Finance in London. She added that the rates being offered by Bank of China were "extremely good" for tracker mortgages. Thus, while consumer confidence continues to languish in the United States (at the same time that those in the financial sector were celebrating the Dow Jones Industrial Average rising about 9000), China is applying its financial reserves to the needs of ordinary British citizens trying to keep a roof over their heads. This is not to suggest that such practices will win those British citizens over to Chinese ideology; but, for now at least, the Chinese appear to be "taking care of business" on Main Street more sensibly that the interests of Wall Street are doing. Having barely gotten over the news of the death of Merce Cunningham, I just read Joshua Kosman's obituary for Michael Steinberg on the San Francisco Chronicle Web site. Steinberg was music critic for the Boston Globe for almost the entirety of my student days at MIT. With his Princeton credentials (both bachelor's and master's degrees), there was little doubt that he was the best informed music critic in the Greater Boston Area; and, to invoke a phrase that only became cliché decades later, he could definitely be counted as "world class." Since my move to the Bay Area, I have always valued his contributions to San Francisco Symphony program books, even when I did not agree with them. For all the theoretical dispositions of his academic background, he wrote as one who appreciated Igor Stravinsky's distinction between listening and hearing, helping those of us who favored the former to the latter in our concert experiences. The best way to honor his memory will be for those of us still "in the game" to honor his approach to writing. The summer of 1968 was not the first time I had seen the Merce Cunningham Dance Company. However, it was the first time I did any serious writing about Cunningham's approach to choreography and John Cage's approach to the composition and performance of music. It was a time when, in the words of the first of the 101 Zen stories in Paul Reps' collection Zen Flesh, Zen Bones, I was full of my own opinions and speculations, most of which were firmly entrenched in the structural formalisms of logical positivism. As in the punch line of that story, the cup had to be emptied before the master could begin to pour fresh tea. Cage was the one who actually emptied the cup. We were all at the University of Colorado in Boulder, where I had joined my thesis advisor as an assistant while he taught there on a visiting appointment. One day I saw a poster announcing that Cage would be offering a "Music and Mushrooms" course, explaining where and when to go for the first session. I was one of two guys who responded; the other had a wife taking dance classes with the Cunningham Company. It turned out that the Company was in Boulder to get their lungs in shape before performing at the pre-Olympic Festival in Mexico City later that summer. Cage's idea of a course was to go mushroom hunting and talk about things (which almost always included music). Since there were only three of us, this was not such a bad idea. The first day he explained the use of a taxonomic key (which I never saw again), which was necessary for determining which mushrooms were toxic. It was a dry summer. There were very few mushrooms but plenty of interesting talk. Prior to those walks in the woods, I had thought about the use of chance procedures more as a game that one could play with notations rather than as a serious approach to composition. However, as he would later demonstrate during his Norton year at Harvard University, Cage spoke about what he did with a sincerity that easily transcended the bonds of logic. I was probably vulnerable to his style. I had committed several years to studying music theory, analysis, and composition; and all the logic of those studies had crippled me to the point that I could not write a note. That metaphorical cup needed to be emptied. I doubt that it was Cage's intention to do so, since he knew almost nothing about my background; but empty it he did with the grace of a Zen master. Having dispensed with the bonds that constrained how to think about music, I could then watch Cunningham and his dancers in their classes, "events," and concerts with similar transcendence. Dance did not need to be a formal reflection of music, as George Balanchine had conceived it, a higher plane of drama in the spirit of the Royal Ballet, or even Martha Graham's quest for the core of human emotion. It could just be a matter of "time to walk in space," the title that Selma Jeanne Cohen gave to the Summer, 1968 issue of Dance Perspectives. That issue focused entirely on Cunningham, drawing its title from a remark by former student Marianne Preger cited in an essay by Carolyn Brown. Returning once again to that Zen story, I came to learn that, where both music and dance were concerned, one could not begin to have opinions until one had descriptions upon which those opinions were grounded. Those who had ridiculed the music of Cage and his colleagues were more interested in glib observations that never really described the listening experience, often trying to support the conclusion that there really was no listening experience. Those who took a similar stance towards Cunningham tended to focus on their own restlessness and boredom in the course of looking for things that were not there, rather than trying to account for what was there. I was working in Singapore when Cage died. I had a personal friend at Singapore Broadcasting who asked to do a telephone interview by way of an obituary, since I was apparently the only person in the country who had known him for an extended period of time. I remember being asked to give a summary statement at the end of the interview. I responded with: "He taught me to question my teachers." This morning Alastair Macaulay broke the story of Cunningham's death last night on the ArtsBeat blog of The New York Times. The news was no surprise. Last June he had laid out very specific plans for the future of his company and his work after his death. Like Cage he was far more occupied with the present than the future, but unlike Cage he recognized an obligation to worry about the future of a company of dancers. The plan is that the company will make one last international tour over a period of two years and then close. After than, the rest of us will only be able to draw upon archival material. From my own point of view, I feel it is important that I learned the value of description, even if my contribution to that archival material is insignificantly small. I have a friend who has done much to cultivate my awareness of the work of Valery Gergiev. This is a somewhat belated mission, since I never really appreciated the contributions he made to San Francisco Opera productions, nor was I particularly motivated to go down to Orange County when his production of Richard Wagner's Ring des Nibelungen was first unleashed on the United States. Thus, my first serious listening to one of his performances did not take place until KDFC programmed a rebroadcast of his 2007 Proms appearance at the Royal Albert Hall; and that was more than enough to pique my attention. Shortly thereafter came the announcement that, in his capacity as principal conductor of the London Symphony Orchestra (LSO), he would conduct the complete cycle of the symphonies of Gustav Mahler during the 2007–2008 season. On this blog I referred to this project as "The Coming Mahler Wars?," since San Francisco takes considerable pride in the performances of Mahler that Michael Tilson Thomas has brought to Davies Symphony Hall (and perhaps a bit more pride in his leading the San Francisco Symphony in the seventh of these symphonies as part of that same 2007 Proms series). Needless to say, the "carfare" to the Barbican (and St. Paul's for the eighth symphony) was more than I could manage; so I took great interest in the LSO plan to release recordings of all of these performances on their LSO Live CD label (which may have been inspired by the San Francisco Symphony releasing its recordings of the Mahler symphonies on its own label). The LSO recording project was launched on April 8, 2008 with the release of the sixth symphony. This symphony has particular significance in San Francisco. I would agree with those who classify it as Mahler's darkest composition. The San Francisco Symphony had scheduled it for the beginning of its 2001 season. This turned out to be shortly after September 11, and Thomas made the decision that it would be appropriate to go ahead with the performances as planned. This was a time when we were all occupied with dark reflections. I thought Thomas made the right decision then, and in retrospect I still feel that way. Needless to say, the performances at the Barbican did not take place under similar shadows; but it was clear from that Proms broadcast that Gergiev was no stranger to darkness. He was not the sort that would have to rely on the coincidental context of current events to achieve his interpretive goals. My friend was quick to share this first CD with me; and I wrote about it on August 9, almost exactly four months after the release. By that time I had read reviews of the concert itself through my RSS feeds of the arts pages of the London press, and several reviews had appeared on the Amazon.com page for the CD. My own initial impression was that the performance was not visceral enough, and after subsequent listenings my thoughts have not changed very much. I know this symphony well. It was one of the first recordings released of Georg Solti conducting the Chicago Symphony Orchestra, and my initial thoughts about the work were shaped by that recording. This was a blood-and-guts reading that seized my attention with the first beats of its opening march and did not let go until the life had been squeezed out of that minor triad that pervaded the entire symphony. After acquiring that recording, I would go after every opportunity to hear the work in concert; so it may be that I was prepared with too much baggage to give the Gergiev recording a fair listening; but, unfortunately, we have little control over the baggage we carry. This year my friend decided to give me a copy of the LSO Live recording of the seventh symphony as a birthday present. I greatly appreciated the gesture. I realized that it was a bit unfair to judge the entire project on the basis of the very first release, so I was glad to have the opportunity to consider another data point. Unfortunately, this was another symphony that I knew particularly well. In this case my acquaintance began the summer before I entered MIT when a distant relative, who bought a lot of recordings with no prior knowledge, decided to unload his Westminster recordings of Hermann Scherchen conducting the Vienna State Opera Orchestra (Mahler's former turf). Those recordings included the fifth and seventh symphonies, along with the first movement of the tenth. The seventh was, without a doubt, the hardest to get to know; but I persisted until it gradually became a familiar friend. Once again, I did not consult the Amazon.com reviews until I had completed my first listening of the Gergiev performance. I found myself agreeing with the reviewer who characterized the beginning of the first movement as "rough and slipshod," as if Gergiev was having as much trouble getting to know this symphony as I had experienced with my first exposure to the Scherchen recording. I also agreed with the reviewer that Gergiev had recovered his footing by the final movement. However, I worry that this was a matter of playing the strategy that audience response is always based on the final gesture. Since this was a recording made from a concert performance, such a strategy would have been well motivated; but, particularly where a symphony like this one is concerned, I cannot sympathize with the assumption that audience enthusiasm at the conclusion compensates for perplexity at the beginning. Thomas conducted this work twice at Davies Symphony Hall on two successive seasons and exercised a firm hand in making sense of those opening ambiguous peregrinations. For better or worse, his strategies became part of my contextual baggage; and it is hard for me to forgive getting this particular symphony off to a weak start. I should conclude with one comment in response to the Amazon.com reviewer who recommended Scherchen or Horenstein for "the historically inclined." That Scherchen recording that had played such an instrumental role in shaping my listening had a major splicing problem in that problematic first movement. This may have had to do with the fact that the long-playing version came from splicing together the sides of 78 RPM masters that were the original sources. I have not yet listened to the CD version of this recording, so I do not know if it has a similar problem. However, that defect is the primary reason why I have not tried to seek out a CD to replace this particular item in my old vinyl collection. I am definitely interested in how the BBC remastered the broadcast performance by Jascha Horenstein with the New Philharmonia Orchestra, having been particularly impressed with their release of the March 20, 1959 broadcast from the Royal Albert Hall of the eighth symphony. Hopefully, all of these sources will serve as useful preparatory material for the San Francisco Symphony Mahler 09 Festival at Davies Symphony Hall that begins on September 16 and continues through October 3. China Central Television's station will broadcast news, entertainment and cultural programmes 24 hours a day. It is part of the Chinese government's plan to promote its own viewpoints by encouraging state-controlled media organisations to go global. I call this "fascinating" because it is hard to read this as anything other than a page from the American playbook. Back when I was doing business travel that frequently took me to both Europe and Asia, I was struck by the presence of American television, in one form or another, in just about every hotel room I occupied. Even when my wife and I were living in Singapore, American television (and all the values dragged along in its wake) came to us in abundance through not only three Singapore channels but also three channels we could receive from Malaysia. Furthermore, in terms of the values that were being communicated, it always amused me that it was through a Malaysian feed that everyone in Singapore could experience a weekly viewing of Baywatch. So it does not surprise me that China should use the same strategy to promote its own values. However, it also struck me that this is a propaganda maneuver that can be directed just as easily at China's own Muslim population, particularly in Xinjiang, as at the Muslim communities of the Middle East and North Africa. Even if the native language of the Uigurs is Turkic, those who are the most devout Muslims are probably fluent in Arabic, possibly even more than they are in Mandarin. I have to believe that the Chinese are as aware as Americans of the powerful role that television can play in shaping the values of its own population, regardless of how it promotes those values in other countries. In other words China is on to our game, and we should watch carefully to see if they learn to play it better than we do! A 1935 profile of Gertrude Stein from The Daily Texan, unearthed by the student newspaper of the University of Texas at Austin and published at its Web site, was written Walter Cronkite, who was an 18-year-old undergraduate at the university when he wrote it. This is a writing specimen that does double duty. While some may see it as an indication of Cronkite's precocity, I see it more as an affirmation that what one needs to know about good writing can be acquired at an early age. (In my case I acquired the basics in high school as part of preparation for the Writing Sample section of the College Boards.) The hard part is not in learning the rules but in acquiring the discipline to take them seriously and maintaining that discipline through constant practice. Simply by deciding to work for the student newspaper, Cronkite had committed himself to that discipline of maintenance; and we are fortunate that he did, indeed, maintain it throughout his professional life. This sample is thus inspiring to both those who aspire to write and those who have done so for much of their lives. A writer isn’t anything but contemporary. The trouble is that the people are living Twentieth Century and thinking Nineteenth Century. By presenting the straightforward nature of her conversational speech, Cronkite blunted those who could only deride her for her rose-is-a-rose-is-a-rose efforts to experiment with the nature of speech beyond the meanings of the words. Still, that quote bears reflection, even if we encounter it only out of curiosity about Cronkite's early writing. We now live in the Twenty-First Century; but it is far from clear in which century our thoughts are now based. Indeed, much of the social division we now encounter may be a matter of different thoughts based in different centuries. Reading this profile from 1935 makes me think that it may be time to revisit the books I have that document some of the lectures that Stein gave to audiences such as the one at the University of Texas. Two mayors, rabbis and politicians are among some 30 people arrested in a major corruption and money-laundering investigation, say US authorities. Even the addition of the word "politicians" could have blunted (if not dismissed) the anti-Semitic tone of the headline. So is this just the work of a low-paid employee bored with his/her work; or is it some kind of Zeitgeist indicator? Faced with issues ranging from online ads to copyright laws, Google spent $950,000 lobbying Washington in the second quarter, according to a federal government database. The amount compares with the $880,000 that Google spent on lobbying in the first quarter--and the $2.84 million it spent for all of 2008. Among the issues that Google lobbied on: intellectual property, copyright related to the Google Book Search settlement, and privacy and competition surrounding online advertising. By assenting to a system of government-by-financial-influence, Goggle is basically supporting it. We may debate whether or not this is flat-out evil; but I find it hard to call such practices "good!" One can hardly criticize Chicago Sun-Times reporter Lynn Sweet for trying to call out Barack Obama on the race question behind the arrest of Professor Henry Louis Gates Jr. during yesterday's press conference. Unfortunately, that part of Obama's response that accused the Cambridge police officer who made the arrest of having acted "stupidly" has now resonated through so many media channels (even those overseas such as the Financial Times), that it is important to recognize that this is a perfect example of what happens when rhetoric does not align with logic. To be fair, my own recollection is that Obama's initial response to Sweet was that he did not yet have all of the facts; and it is unclear whether or not, one week after the episode took place, all of those facts have come to light. Had Sweet not posed her question as one of race, Obama could have closed the topic with that initial response; but my guess is that, had he done so, he would then have had to contend with at least one pointed follow-up question. He was booked for disorderly conduct after “exhibiting loud and tumultuous behavior,” according to a police report. Gates accused the investigating officer of being a racist and told him he had "no idea who he was messing with,'' the report said. On the basis of what we now know, there seems to be little question of the nature of Gates' behavior. Whether or not that behavior provided grounds for a disorderly conduct arrest and booking comes down to a judgment call on the part of the police; and the media have now generated so much "data smog" around this story that we may never get an "authentic" account of how that call was made. We are thus left with an object lesson on the risk of relying too heavily on rhetoric, which may turn out to be a significant unintended consequence of yesterday's press conference. Will Health Care Really be Reformed? Last night we witnessed once again the power of Barack Obama's rhetoric. After eight years of George W. Bush, it is refreshing to hear once again a firm command of the English language; but a command of the language does not directly imply a command of the issues. The primary objective of Obama's rhetoric was to "sell" the White House Press Corps (and, by extension, those of us who follow the news they report) on the urgent need for his health care reform package to be passed as law. He pulled out all his guns to convince us that he understood the problem and had proposed a solution that would significantly alter the current system, which appears to give more attention to shareholders than it does to either doctors or their patients. Nevertheless, from a strictly logical point of view, one can almost always be highly convincing about even the most patently false propositions. Thus, any examination of rhetoric must also examine the motives behind the rhetoric, whether it involves a lawyer doing his job in defending a client (without necessarily knowing whether that client is really innocent) or a public figure speaking out on a major social issue without our knowing who actually paid for his bully pulpit. This is the context in which we must read Sharon Theimer's Associated Press report about White House meetings with key representatives of the health care industry. Only by bringing motive into the picture can we realistically speculate over whether Obama's plan will reform health care back into the domain of the public service that every other industrialized nation in the world recognizes it to be or whether it is the sort of lipstick-on-a-pig that will allow those concerned with nothing more than numbers on balance sheets to maintain their status quo while the rest of us get sedated with the illusion that things are finally going to change. An understanding of motive may even help us to get to the bottom of the counter-argument posed to those who voice their suspicions to Obama's proposal: "It's only a first step, but we have to start somewhere." Some reforms cannot be achieved through a series of steps. (Think of Great Britain deciding to drive on the same side of the road that Americans do.) Those of us who voted for Obama for the change he promised now need to recognize whether or not he is delivering change where we need it or just selling us on illusions the way just about every other politician does. When Did Information Become an Agent? I have always believed that one good way to measure the extent to which a society is in decline is by the frequency of barbarisms that arise in its use of language. This may actually be tautological in terms of the two definitions of "barbarism" in the Shorter Oxford English Dictionary, the first being the state of "uncultured ignorance" and the second the use of "words and idioms" that depart from the standard conventions of the language. However, since it is too easy to run afoul of cultural relativism when debating the first definition, I tend to focus my attention on the second. The last time I decided to hold up a barbarism for ridicule was when I encountered a text that asserted that "trees, rocks, and bouncing balls" all "demonstrate intelligence to the extent that they obey the laws of physics." The problem, of course, is that a rock (to choose the most blatant case) cannot obey anything, since it is incapable of taking any motivated action that would be regulated by a sense of obedience. In other words, if you take just a little bit of time to apply basic semantic analysis to what the assertion is really saying, what emerges is little more than a preposterous jumble of words. It is the sort of proposition worthy of Enrico Fermi's most damning insult, "It isn't even wrong," because, while it may be syntactically coherent, the semantics amount to little more than a waste of air (as a former colleague who happened to be a big Dukes of Hazzard fan liked to put it). Ironically, the same type of specious reasoning is involved in the second example: Information is no more capable of motivated action than a rock is. It can no more want anything than a rock can exhibit obedience. Nevertheless, this has become an obsessive mantra of Internet evangelists, who claim it is the reason why one should not charge for content accessible through the World Wide Web. In other words those evangelists want to turn another preposterous jumble of words into a moral imperative (which is really saying something, since one can assume that few, if any, of them have ever spent much time wrestling over any other moral question, even one as common as participating in a jury decision). People are willing to pay for quality. They are willing to pay for choice; they are willing to pay for convenience. If those assertions were not true, Disney would not be the powerful empire it has become. (The trick to gaining that power, as Iger would probably agree, is a talent for turning mere willingness into strong motivation.) Nevertheless, for all the power he commands, I doubt that any of his straight talk will shake his audience out of their habit of substituting claptrap for sentences that mean something; and that is where we confront the risk of becoming a society of "uncultured ignorance" (who, of course, will then be susceptible to having their motivations manipulated by the likes of Disney)! At last May's Independence Day celebration in Israel, we saw, for the first time, promising signs that, where the question of relations between Israelis and Palestinians are concerned, the voices of Prime Minister Benjamin Netanyahu and the rest of his Administration did not necessarily represent significant portions of their country's population. As had been reported in Roane Carey's blog post to The Notion, the evidence emerged through a series of phases. It began with the effort of Foreign Minister Avigdor Lieberman to ban Palestinian citizens of Israel from commemorating the anniversary of the Nakba. As I observed around the time of the 2008 Independence Day, this word, which is Arabic for "catastrophe" and therefore reflects the losing side of the Israeli War of Independence, was virtually non-existent not only in Israel but in just about all media coverage of the Middle East. The fact that Lieberman had to invoke it, even for the sake of banning it, was a sign that a linguistic camel's nose was now under the tent. More surprising, however, was how little time it took for the rest of the camel to follow. Nakba rallies proliferated, not only in Palestinian communities but in Israeli cities seeking better inter-cultural relations. This culminated in a two-day workshop organized by Arabs and Jews as the main event of an "Independence Day/Nakba Day" gathering outside of Haifa. This may have been the first time that the Israeli government had drawn such a defiant line in the sand and large sectors of the population were equally defiant in crossing that line. It was almost enough to remind one of Paul Newman's rather contrived speech over the joint funeral of an Arab and an Israeli in the final scene of Exodus. Israel will remove from school textbooks an Arabic term that describes the 1948 creation of the Jewish state as a "catastrophe," the Education Ministry said on Wednesday. Prime Minister Benjamin Netanyahu said when he was opposition leader two years ago the word "nakba" in Israeli Arab schools was tantamount to spreading propaganda against Israel. The term, which is not part of the curriculum in schools in Jewish communities, was introduced into a book for use in Arab schools in 2007 when the Education Ministry was run by Yuli Tamir of the center-left Labor party. The book was aimed at children, aged 8 and 9. Arab citizens make up about a fifth of Israel's population of seven million. The term nakba is used by Palestinians to describe the founding of Israel in a war when some 700,000 Palestinians fled or were expelled from their homes. "After studying the matter with education experts it was decided that the term nakba should be removed. It is inconceivable that in Israel we would talk about the establishment of the state as a catastrophe," said Yisrael Twito, a spokesman for Education Minister Gideon Saar. A passage in the textbook, describing the 1948 Middle East war at the time of Israel's creation, said: "The Arabs call the war the nakba -- a war of catastrophe, loss and humiliation -- and the Jews call it the Independence War." Jafar Farrah, director of Mossawa, an Israeli-Arab advocacy group, said the decision to remove the term only "complicated the conflict." He called it an attempt to distort the truth and seek confrontation with the country's Arab population. Reading this I was reminded that George Orwell chose his 1984 title by permuting the digits in 1948; and the job of his protagonist was basically one of rewriting history books in government-approved language. If Orwell's spirit is still with us, it is hard to imagine whether he would be laughing or crying at this embodiment of his nightmarish vision. There are times when stubbornness can be viewed in a positive light. There are other times when it should be acknowledged as a primary characteristic of chutzpah. I tend to shy away from giving Chutzpah of the Week awards to Israelis, perhaps because chutzpah is so much a regular part of their culture in both its negative and positive connotations. However, because it reflects what may be the most interesting culture clash to have taken place since Israeli was constituted as a country, it is hard to pass up this particular episode. It thus seems appropriate to grant the award to be shared by Netanyahu and Saar, who, respectively, embodied the theory and practice behind this episode. The beginning of the annual Proms season at the Royal Albert Hall in London seems to have prompted Finlo Rohrer to publish a piece for the BBC News Magazine on proper concert behavior; but his authoritarian introductory summary, which concludes that "there's a whole lot of etiquette to be learned," strikes me as a false step from which he never recovers. I sometimes think that the when-to-clap question (Rohrer's primary focus) has invaded just about every classical music blog that I read; and it gets a bit tiresome to navigate so many opinions so abundant in heat and giving off so little light. Nevertheless, in the grander scheme of history, I really cannot complain, since I find these outbursts of opinion preferable to the flood of favorite-Beethoven-symphonies discussions that eventually drove me away from Usenet. For better or worse, these written opinions about concert behavior shape the expectations I bring with me when I enter the audience area of a performing space. Unfortunately, the reason why Rohrer's exposition turns into one false step after another is that, having begun with authoritarian posturing, he misses out on a fundamental premise behind the concert experience. He makes the fallacious assumption that etiquette is strictly a matter of the proper relationship between the individual in the audience and the music being performed, as if the performer is some non-sentient agent that happens to "deliver" the music with greater fidelity than any available loudspeaker. This not only insults the performer but ignores the performer's commitment to dual communicative actions. We take it for granted that the performer is executing the music, and I would argue that such execution derives from the interpretive nature of communicative exchanges between the performer-as-agent and the score-as-authored-text, serving as an embodiment of its author. Performing a composition is thus very similar in nature to Mortimer Adler's model of how we read a book as an imagined conversation that we hold with that book's author. In both situations the communicative setting is far from perfect, since the capacity for actual exchange is clearly limited; but the model is still useful for allowing us to raise questions of communication when trying to understand the nature of a performance. It is a phenomenon that was satirised in the 2005 short film The Clap. An obsessive classical music fan recalls the lengths he used to go to, studying scores and previous performances, to identify the precise millisecond the concert was over, so he could be the first to clap. Like a maniac. The last note isn't the end of the music, the silence completes the music. In Beethoven's 9th, a massive choral outpouring, you can't help but clap, but in other works like Mahler 9 these are the final symphonies, the end of the life. They end in silence. I agree entirely with Lennie's observation, but it does not imply that the sense of an ending resides in the music itself or even in how performers execute the score. It involves this second channel of communication and those body-language signals. In this season alone I have been exposed to more performers than I can enumerate who can command the elements of both posture and gesture to say, "It's not over yet." Since Lennie singled out Gustav Mahler as an example, I would offer as my own example the ways in which Michael Tilson Thomas can "hold the moment" at the conclusion of a Mahler composition that ends in the sort of silence Lennie described. This is not to say that performers must take the blame for the inept behavior of that "loud clapping man" who provoked Lennie's diatribe. Like the protagonist of "The Clap," that man is there only to send signals and could care less about paying attention to those he is supposed to receive; and that observation may take us to the core of the underlying question of etiquette. In these times when so many social conventions are being questioned and rejected, those who write about etiquette frequently fall back on common sense as the only guiding rule. Where communication is concerned, common sense tends to focus on paying as much attention to receiving as to sending. From that point of view, the real problem of etiquette may be a consequence of the fact that music has become so commoditized that we now have audiences more preoccupied with consuming that commodity than with what Igor Stravinsky had in mind when he wrote about listening to music. This led me to do a text search, just in case it had slipped by me during my reading. Having failed to find it that way, I then ran the same text search in the View Source window that Firefox provides on request. The adjective was nowhere to be found except on the AT&T Home page. Was this the prank of a bored bit-pusher or a covert editorial statement? Enquiring minds want to know! Since we are now in the thick of the Midsummer Mozart Festival, I find myself both playing and listening to more Mozart at home; and this has set me to visit some old speculations. About 35 years ago, when I was teaching at the University of Pennsylvania, I had a British colleague whose used to talk with delight about a friend of his who had begun a piano recital with the first entry in Ludwig von Köchel's chronological catalog of the compositions of Wolfgang Amadeus Mozart. Many years later I bought myself a copy of the Henle edition of Mozart's Klavierstücke, edited by B. A. Wallner and apparently completed in the spring of 1974 (quite possibly around the time that my colleague told me his story). When I turned to the first page of music, I encountered the same anomaly that confronted me with two of the works on the first Midsummer Mozart Festival program this season, the dreaded parenthesis that follows the K number in the listing "KV 1 (1e)." These pieces probably have their origin in the Nannerl Notenbuch; Leopold Mozart had given Nannerl [Mozart's sister, with whom he played his later concerto for two pianos] a rectangular music-book in 1759 into which he had carefully written onto the title-page “Pour le clavecin. Ce livre appartient à Mademoiselle Marianne Mozart”, taking care to copy works of increasing difficulty by various fashionable composers into it. When Wolfgang later came to play these pieces at the age of 4, Leopold marked down the date on which he first saw them. Leopold also transcribed the first pieces that young Wolfgang wrote into this same book. The Neue Mozart-Ausgabe lists 52 entries in this notebook, followed by twelve additional entries, apparently from the "original" (ursprünglich) version of the notebook; and all six K.1 entries are among those twelve additional pieces. There is no immediate indication of which of those entries were initially in Wolfgang's hand; but Lejeune's comment about Leopold's transcription would explain why the notebook has two versions. If I want to pursue further details, I shall probably have to follow up on the footnotes to the editorial comments in the Neue Mozart-Ausgabe, which will require more attention to wading through musicological German than I can muster on a Sunday morning! Since the mid-1990s the classical music industry has been accused of myopically cultivating a handful of profitable stars – many of them so-called “crossover” as opposed to echt-classical – to the detriment of up-and-coming musicians, who find it increasingly difficult to set up recording contracts. With the advent of broadband internet these performers and composers have been able to bite back by posting high-quality music samples and MP3 files on their personal websites or social networking profiles, and thereby undercutting the traditional dependence on labels. But until recently they have lacked support or a sense of community. This looks set to change with the development of Plushmusic, a new kind of music website that went live last November and has just received its official launch. In the words of its founder and artistic director Adrian Brendel, cellist and son of the great pianist Alfred Brendel, it was “born out of the idea of giving musicians the opportunity to record things in a different way, and to use new technology for new projects”. The Plushmusic name might sound a bit kitschy (it could almost inspire a new subgenre of “easy listening” – heaven forbid) but its origins are reassuringly wholesome: in 1995 Brendel founded a chamber music festival in the Dorset village of Plush and the website has developed as an extension of its values and activities. As at Plush, there is a strong emphasis on chamber music but there are also designated areas for opera, jazz and world music. Individual artists are given “channels”, where they can they can post free video excerpts or charge users for a complete streaming or download of a live concert recording. Classical guitarist Zoran Dukic, for example, has posted a number of free audio clips, while Julian Steckel has made available a film of himself performing Kaija Saariaho’s short piece for solo cello Spins and Spells, and pianist Aleksandar Madzar is charging £9.99 for a high definition recording of a concert he performed at last year’s Plush festival. When asked if Plushmusic could pose a threat to the traditional record label, Brendel admits the project will prove “very subjective”, and explains that while Hyperion has been keen to engage, believing the project can be mutually beneficial, other labels have been less enthusiastic. It is, of course, early days, but if Plushmusic gathers pace and power the consequences could be quite provocative. Once sites such as this successfully supplant the role of record labels, it can’t be long before people begin to question the necessity of agents: if musicians can manage and market their own recordings, if they can nurture relationships with opera houses, music venues and festivals around the world, and interact directly with a pre-existing and potential audience, what need is there for middlemen? Disintermediation has, of course, been one of the primary watchwords of e-commerce; and I suspect that debates will continue to rage over whether it is a virtue or a vice. However, what Battle neglected to examine in her report was the implications of these new cyberspace strategies for audiences, rather than performers or promoters. What will happen to performance practices if physical presence is displaced by virtual presence? There is no simple answer to this question; and I suspect that, now that the seed has been planted in my mind, I am likely to cultivate it in a variety of ways in future writing (possible on Examiner.com as well as on this blog). The good news is that we are talking about something on a higher level than downloading a file for your iPod: The concert performance of music deserves more attention than it would receive if you are filling your ears with background sounds to block out realities you would do better not to ignore. However, a concert experience in the physical world is a social one, even when it involves little more than awareness of the audience sharing the experience with you. The risk that cyberspace will turn this experience into a purely subjective one, thereby impoverishing it, cannot be ignored. After all, even going to a movie theater to experience an HD broadcast from the Metropolitan Opera is a social experience that cannot necessarily be maintained through a computer screen. With the convergence (to invoke another watchword) of the Internet with television, some of that social experience may transplant to living rooms, as it tends to do for many sports events; but I would be reluctant to consider a World Series game as a model for concerts (which may be a mistake on my part)! There are performers, such as Glenn Gould, for whom the audience did not matter. They are currently in a minority, and I hope they stay that way. This is not just because, where concert music is concerned, my only role is as audience. It is also because the social world is as important to the performance of music as I have argued it is to the development of technologies. Herman Hesse's Glass Bead Game was ultimately a reductio ad absurdum of what happens when artifacts of creation are abstracted beyond experiences (even as audience) of creation. We must avoid the risk that the Internet will bring us closer to making that risk a reality. Beyond the "Democratic Press Conference"